Yuri talked about the meaning of Girls' Generation in an interview with 'Singles'. 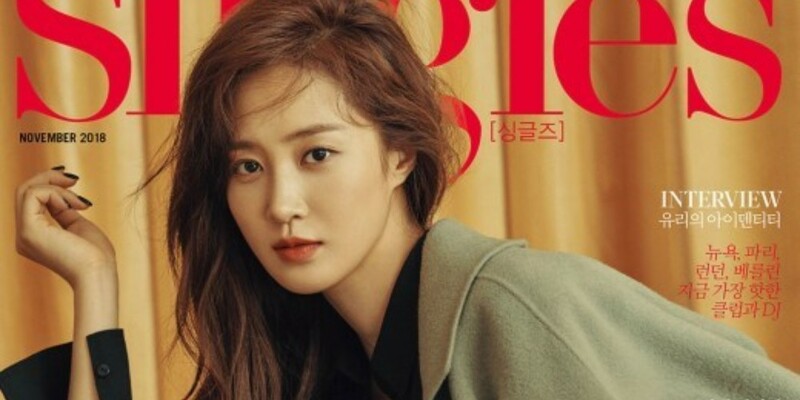 The veteran idol star took over the cover of 'Singles' November issue. Posing in stylish fall wear, Yuri radiates chic elegance. In the interview portion, Yuri shared about her solo debut with 'The First Scene', drama 'Dae Jang Geum Is Watching', and more. She also showed unchanging affection for Girls' Generation. She stated, "The name Girls' Generation is a dependable barrier. It's like a home to me. It's something that warmly welcomes me when I return to it after working extremely hard outside. I'm also looking forward to how we will be later on in our 40s." So beautiful relationship of our Sonyeosidae Ladies .